To make Italian Chicken Patties, preheat oven to 375F degrees. Melt butter in large skillet and cook garlic until tender. Add mushrooms, spinach and lemon juice and cook until mushrooms are soft. Remove from heat. In a separate bowl, combine chicken, oil, spices, breadcrumbs, and cheeses. Add mushroom/spinach mixture to chicken mixture and stir until combined. Heat oil in large skillet. Form chicken into large patties and brown about 2-3 minutes. per side. 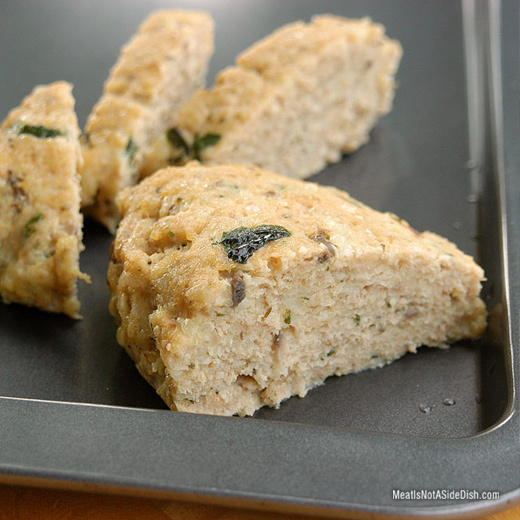 Place browned patties into shallow baking dish with chicken broth. Cover loosely with foil and cook 30-40 minutes or until cooked through. Remove foil for last 10 minutes of baking. Serve plain or with red or alfredo sauce. Makes 5-6 large patties.